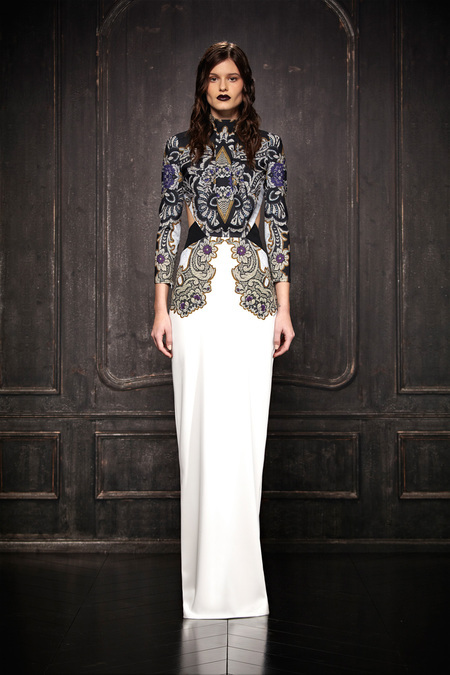 For those who don't know, Pre-Fall collections from our favorite designers are hitting the runways. What exactly are Pre-Fall collections? These collections are brief in-between periods where designers release a small line of ready-to-wear clothes, much more commercial than the typical ready to wears we see on the spring and fall runways. These pieces are much more wearable and appeal to a wider base of clients. 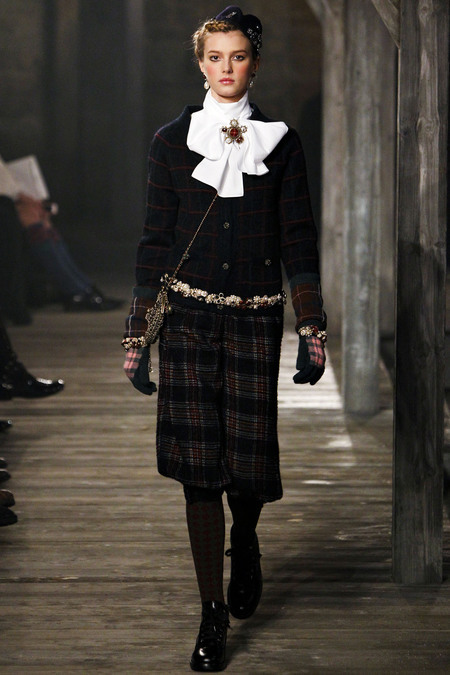 Since 2008, Pre-Fall collections have become an accepted season in fashion. 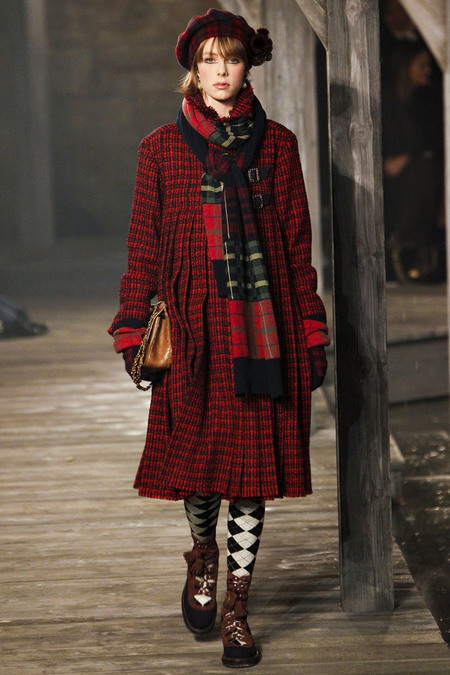 Recently, designers such as Michael Kors, Moschino, Chanel and more have released their latest fall designs. Check them out below! 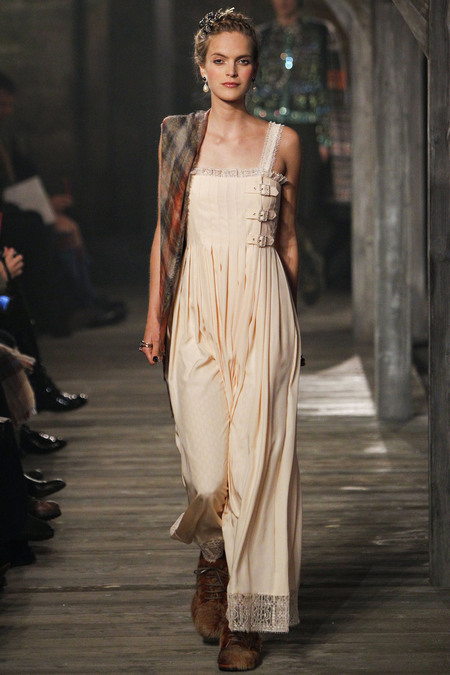 And stay tuned for more Pre-Fall Runway posts, there are more to come! It was all good girl mixed with bad girl for Kors Pre-Fall Collection. Mixing Fall's hottest trend, leather, with the timeless elegance of lace, he has managed to whip up another amazing ready to wear collection. In fact, there were so many amazing pieces I provided more pictures than I usually would, it's just that good. Along with the leather and lace, there was a very 1950's vibes- from the retro accessories of gloves to matching pumps. Of course he added a modern touch, much like most fashion designers do this day in age. Take something old, and make it new and utterly fabulous. 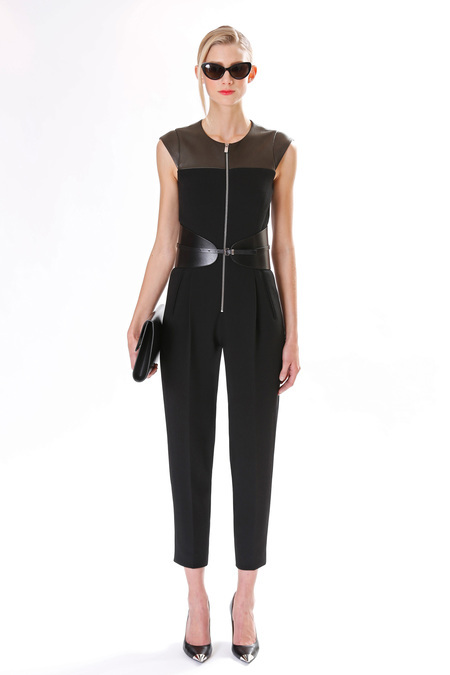 Body suits and body dresses galore for Donna Karan this pre-Fall season. The urban feel of these designs comes from the color palette of grays, browns and blacks. Another key element in this collection was the fluid movement of the silhouettes- round shapes and poured on draping effects covering the dresses and skirts. There was no fur used in this collection, much to critics surprise. While it is more a minimalist approach, these looks are so chic and I would totally wear some of them out. 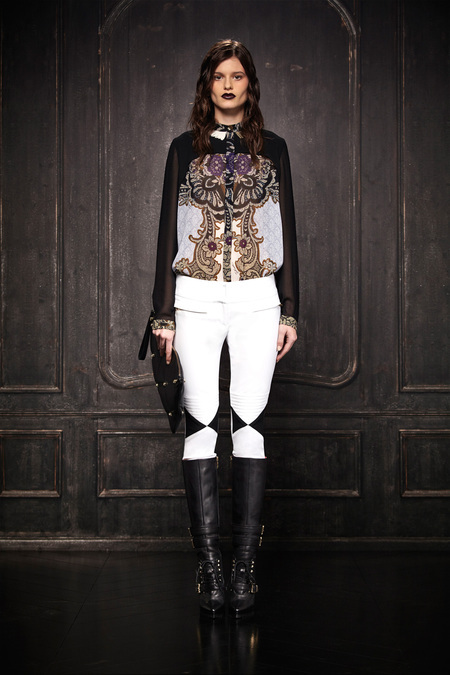 "Barbarian romance" is the description Karl Lagerfeld coined his pre-fall 2013 collection. Presented at Linlithgow Castle, where Mary Queen of Scotts was born, this castle played a huge role in the collection. 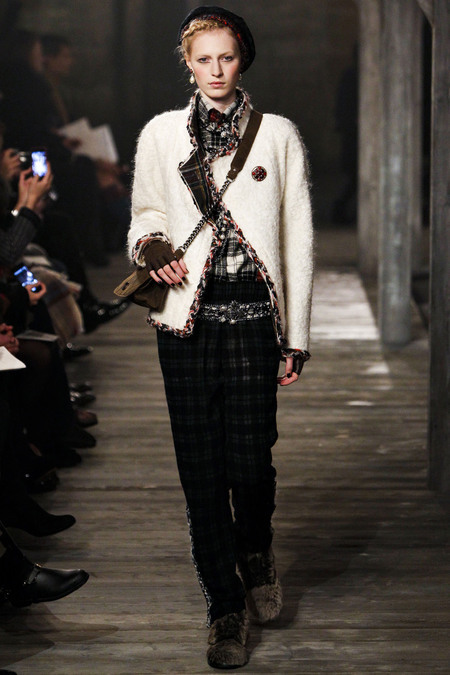 Tweeds, knits, cardigans and kilts! The undeniable presence of Scottish culture infiltrated Lagerfelds designs. 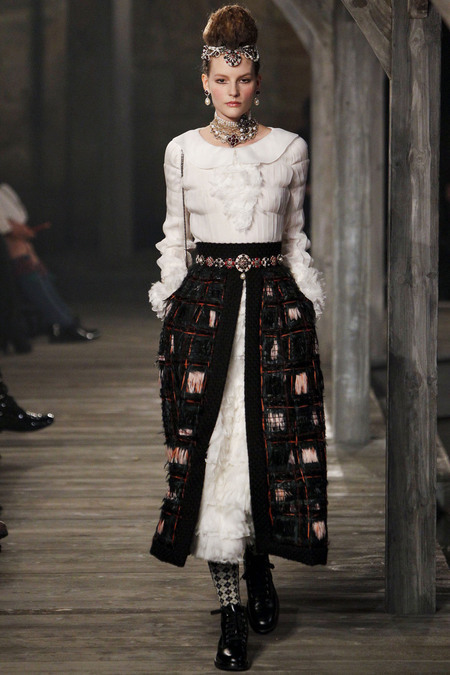 Of course, there's always a bit of classic Chanel in the designs, it wouldn't be complete without it. The quirky classic vibe Rosella Jardini added to this collection is unmistakable. From the charmeuse polka-dot shirtdress with an embellished pearl collar, to the slouchy herringbone trousers with suspenders, this line was fun and cute. Cheap and Chic at it's best, well done Moschino. Military elements were infused into this collection, from the jackets and buckled boots, to the leather mini dresses and thick belts. Very true the Cavalli name, there were signature prints and styles infused throughout the line. I was pleasantly surprised when I saw the evening wear, they were elegant and flattering dresses, unlike the usual bold and ostentatious looks.